Let’s face it: When it’s this cold outside, your mower and its condition as it sits in the shed is probably the last thing on your mind. 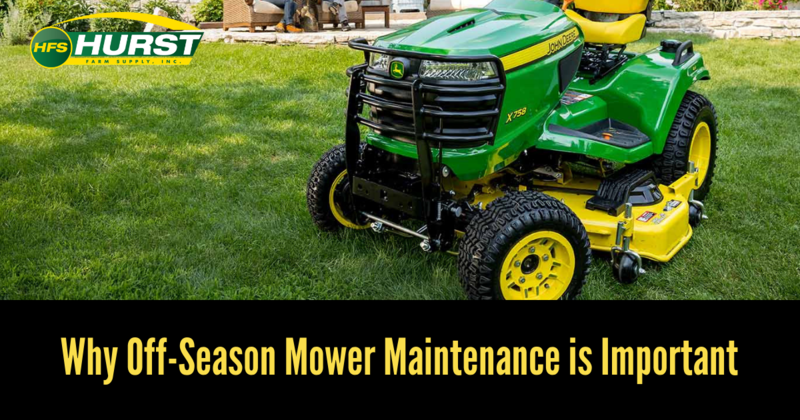 However, proper off-season maintenance can have some pretty huge payoffs later down the line when you pull your mower back out in the spring. During this inspection, we operate your mower to check for any mechanical problems. Our service includes changing the oil, air filter, pre-cleaner, spark plugs, and fuel filter. We also go one step further to lubricate, sharpen, and balance your mower blades. As we’re sure you’re aware, lawn mowers aren’t cheap! For that reason, it’s important to give your equipment the care that it needs to make sure you get the very most out of your hard-earned investment. While regular DIY care is important, a professional off-season inspection package from Hurst Farm Supply offers much, much more than just a glance under the hood. Our team of professionals has the tools, the know-how, and the experience to look for and take of things that may have otherwise gone overlooked. 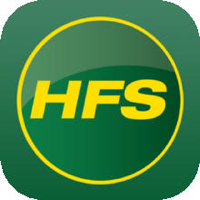 If your inspection yields an issue that requires replacement parts, Hurst Farm Supply can also repair it right here in-house with an inventory full of parts that can fix any issue your mower may encounter! Off-season mower maintenance is an important step in preserving the life of your mower and getting the absolute most out of your investment. Need some help giving it the off-season TLC it deserves? We’ve got you covered. From now until March, Hurst Farm Supply is offering our customers a limited-time offer of $25 pick-up and delivery fees for all eligible off-season mower inspections packages! Click below to request your service today.